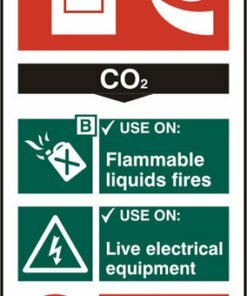 A range of fire extinguisher signs for use around the workplace and within public buildings. 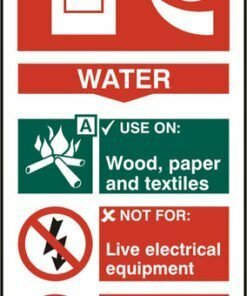 Part of our range of safety signs, our extinguisher signs provide the user with instructions on how to use the particular extinguisher. 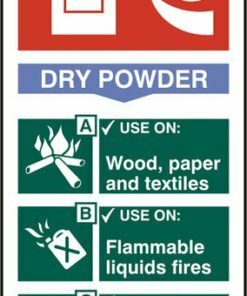 For example, for the different types of fire extinguisher including dry power, foam, water and C02. Choose from rigid PVC signs or self adhesive signs. Available in packs of five. 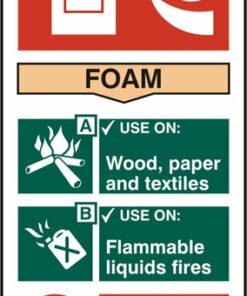 Our fire extinguisher signage will help you to comply with health and safety legislation. All fire equipment must be correctly labelled. These signs should be placed on the wall next to the fire extinguisher so that people can clearly see them. In the event of a fire, the step by step instructions will aid the user in using the fire extinguisher correctly. Need any help? Call us on 0330 0885 675 and we’ll be very happy to assist you with your purchase.